We all know that the kitchen is the heart of the home, nevertheless the majority of us don’t actually have our dream kitchen – yet. More often than not the one thing we all want in our kitchens is space, and no, for most people that doesn’t accumulate to moving home. 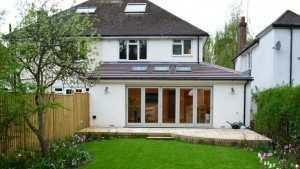 In fact, kitchen extensions are by far one of the most popular home development ventures. Once you have considered all these you can then pick which type of extension would best suit you. 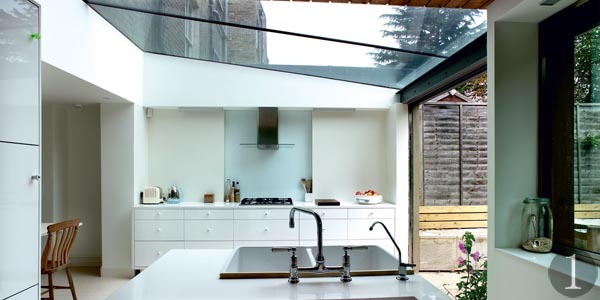 This is the most common kitchen extension – sometimes also called a side return extension. A side extension normally involves extending about 1.25m to the side of the house and finishing flush to the back of the main part of the property. The main styles of kitchen side extensions are flat or pitched roof – regulations often mean that pitched roofs have to come down to 2.1m on the boundary wall. 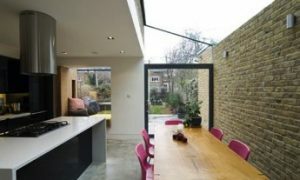 A kitchen rear extension is where an extension to the rear of the property is made, it is very common for huge roof windows to be added in order to let as much natural light into the room as possible. Rear extensions often have mono pitched, centre pitched, or flat roofs. If you’re looking for a kitchen/ living area (the ultimate open plan family space) this is the option for you. This l-shaped/ wrap around kitchen extension is a combination of the side extension and rear extension and it can really make the most of your indoor – outdoor space, especially when bi-fold doors are used. The l-shaped/ wrap around extension can have either a flat or pitched roof, however, if you are looking for a seamless finish the flat roof option is best. Something you should bear in mind is that this type of extension will require and existing structure next door of a height higher than 2.1m on the boundary or a neighbour’s joint planning permission. 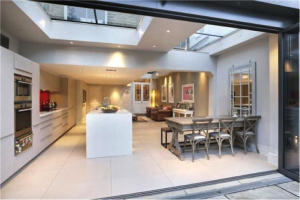 Although space is the biggest incentive for a kitchen extension, it is also a way of adding about 4.6 percent more value to your home. So, this is actually a Win-Win home improvement!